Disclaimer: This post is part of a Petitti’s campaign. I was given a gift card to use for myself and one to give away in exchange for a post about my experience. As always, my thoughts are 100% my own. Since I was already a Petitti’s customer, I was happy to be a part of this campaign. Update: Congratulations to Jennifer – winner of the gift card! 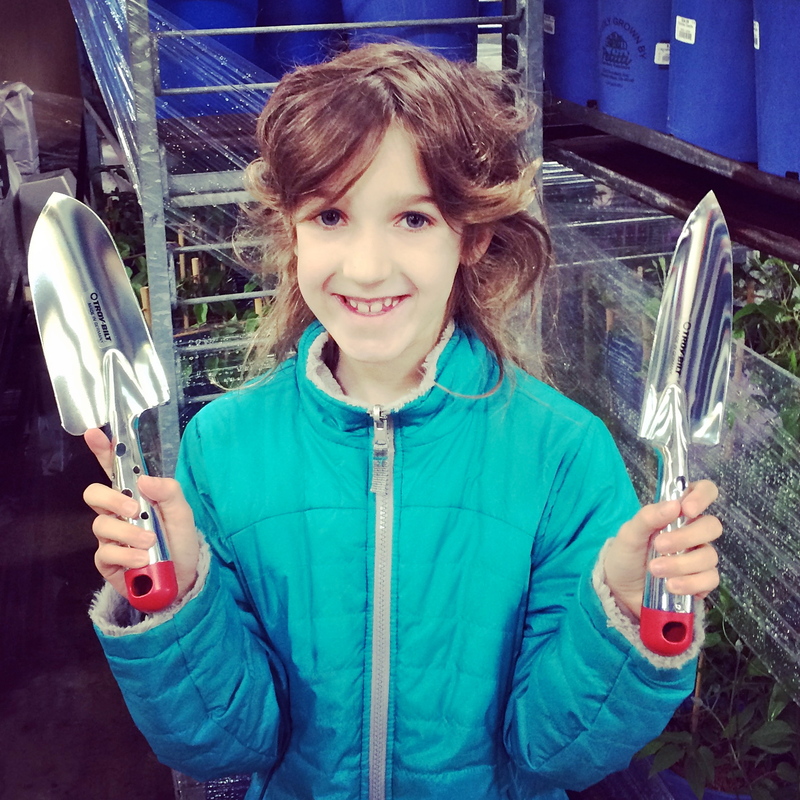 Last month Matilda and I were lucky enough to get a tour of Petitti Garden Center’s Casa Verde, in Columbia Station. 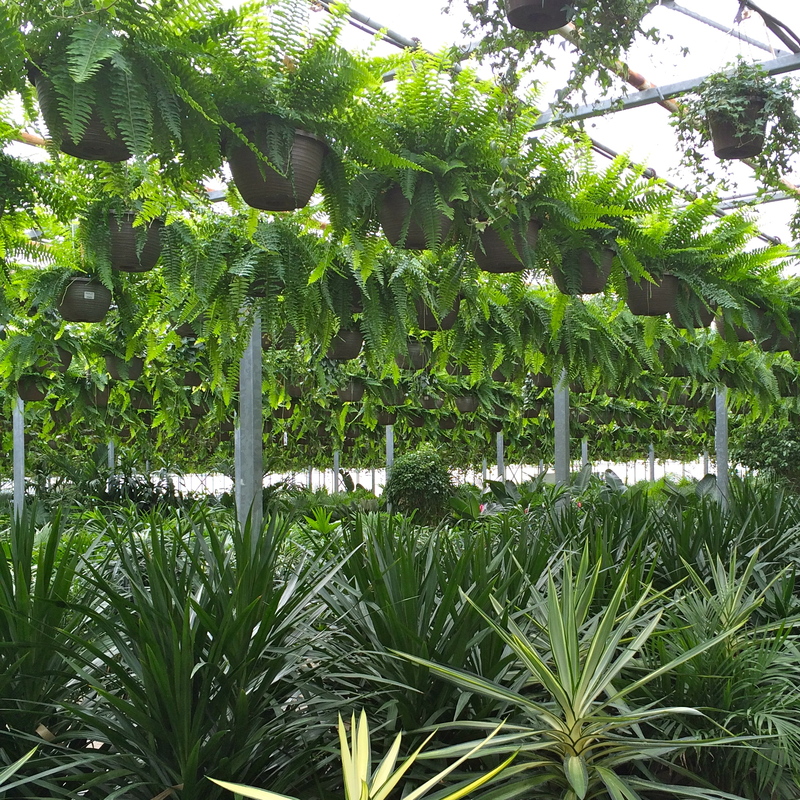 This massive greenhouse operation is where 98% of the live product sold at Petitti is grown. NINETY EIGHT PERCENT! It means that every plant you buy from Petitti is already acclimated to our climate (hello 80 degrees one day and 45 the next!) because they were grown from seed right here. 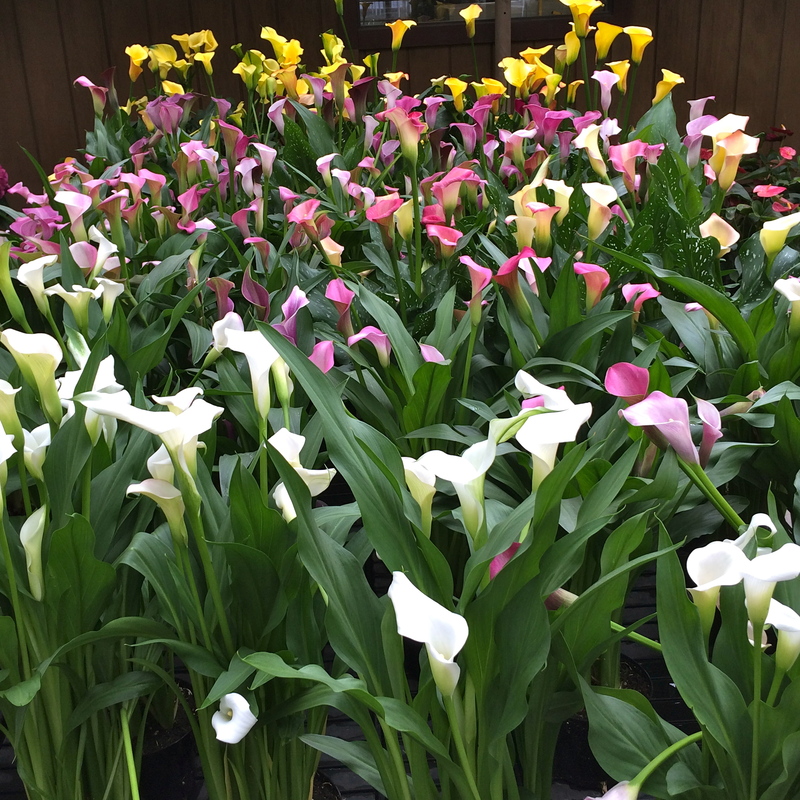 In fact, Petitti is one of the only area growers that takes the plants through 3 stages of growing (in different greenhouses) before deeming them ready for purchase. 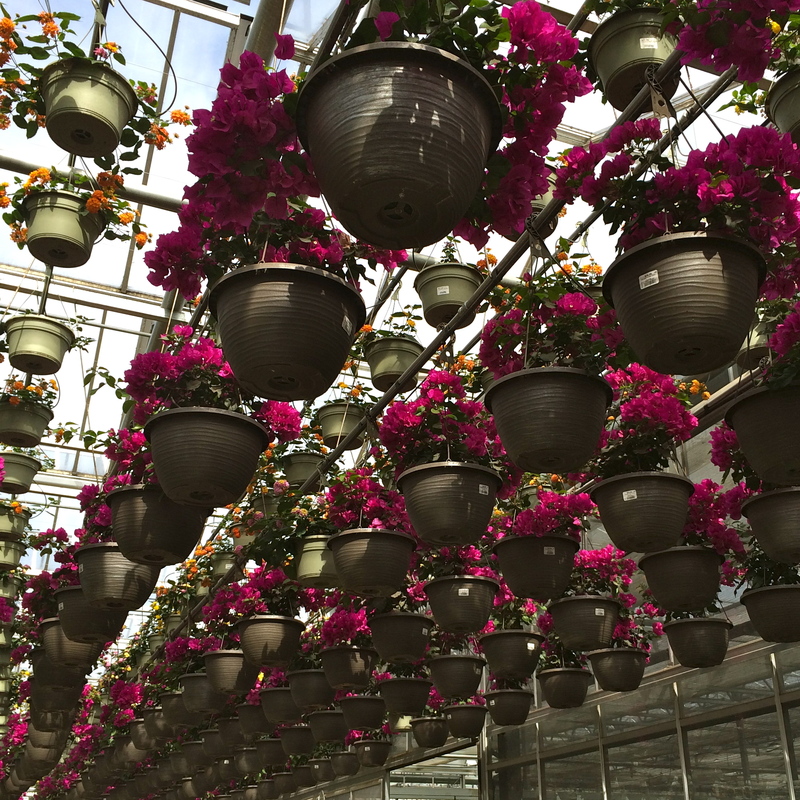 During high growing season they have as many of 100,000 hanging baskets at Casa Verde – it’s truly amazing to see! Casa Verde is also where they do things like mix their custom blends of potting and planting soils, and assemble and plant their beautiful planters that are ready for your porch. 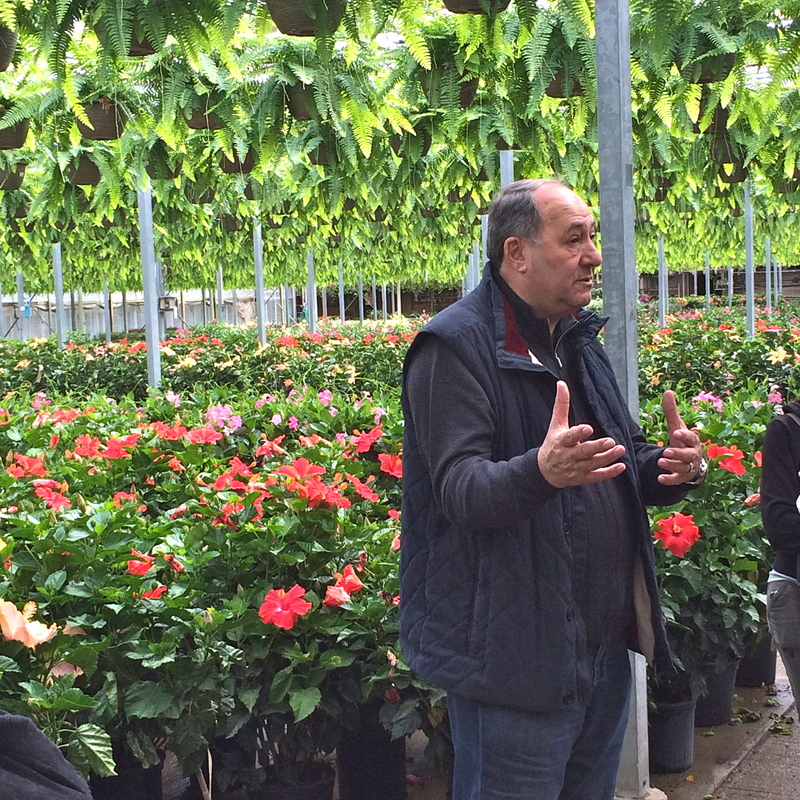 During our tour we got to hear Angelo Petitti’s story of how he immigrated to the US from Italy when he was 16, started his business and grew it to 9 stores plus a 32-acre greenhouse which employes up to 400 people during peak season. I have always known that Petitti was a family-owned operation but hearing his story and seeing the facility was eye opening. 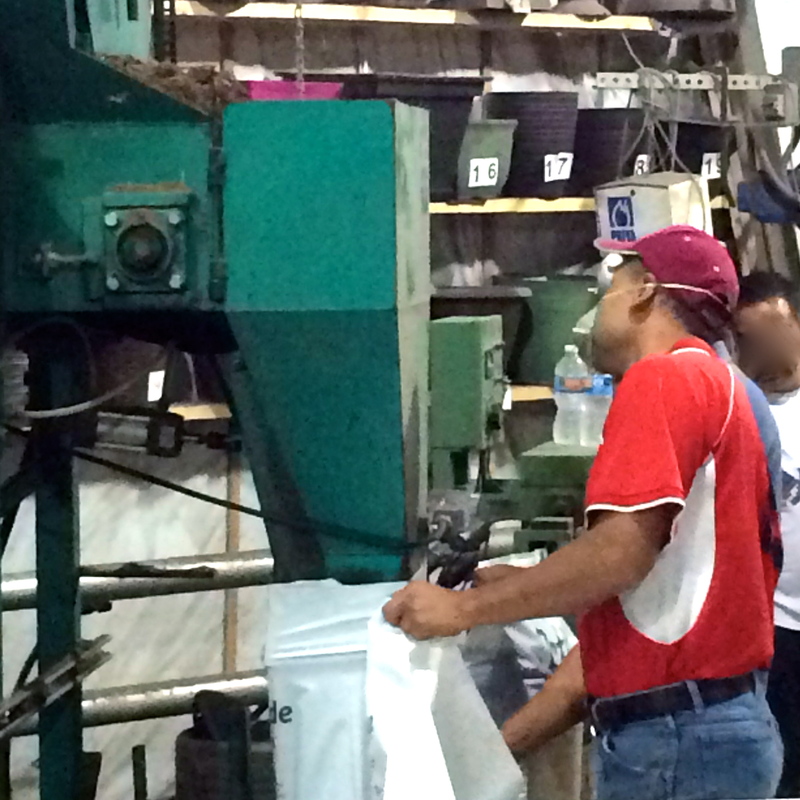 I always like to shop as local as possible and it was great to see “behind the scenes” of a robust local company. As part of the visit we were given a gift card to start our garden for this year (and some awesome Troy-Bilt garden tools – also a local company!). This past weekend Matilda and I were finally able to hit up the original Petitti Garden Center in Oakwood for our plants. We were after some tomatoes and herbs to fill our patio pots of for the summer. Our yard gets a lot of shade, the soil is a terrible clay, and our neighbor has a black walnut tree so growing veggies in the ground is nearly impossible. So we make due with a hodgepodge of pots on the back patio. 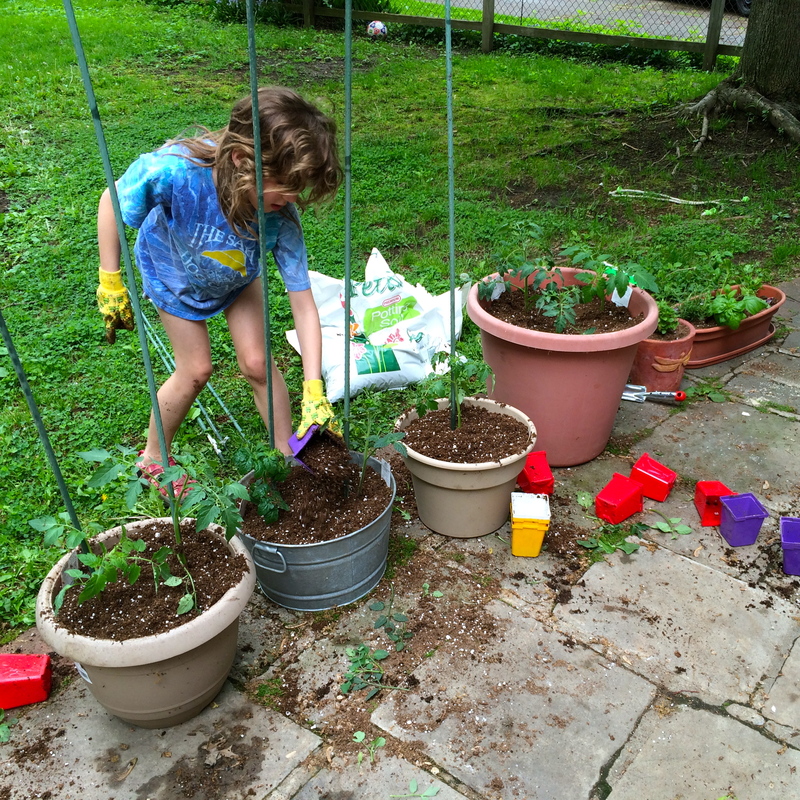 Matilda picked what we were planting this year – lots of cherry tomatoes (the kids snack on these right off the vine when they are playing outside), some big heirloom tomatoes, cilantro, basil, rosemary and mint. She was also pretty excited to pick up several bags of Petitti’s soil since we saw it being mixed and bagged at Casa Verde. 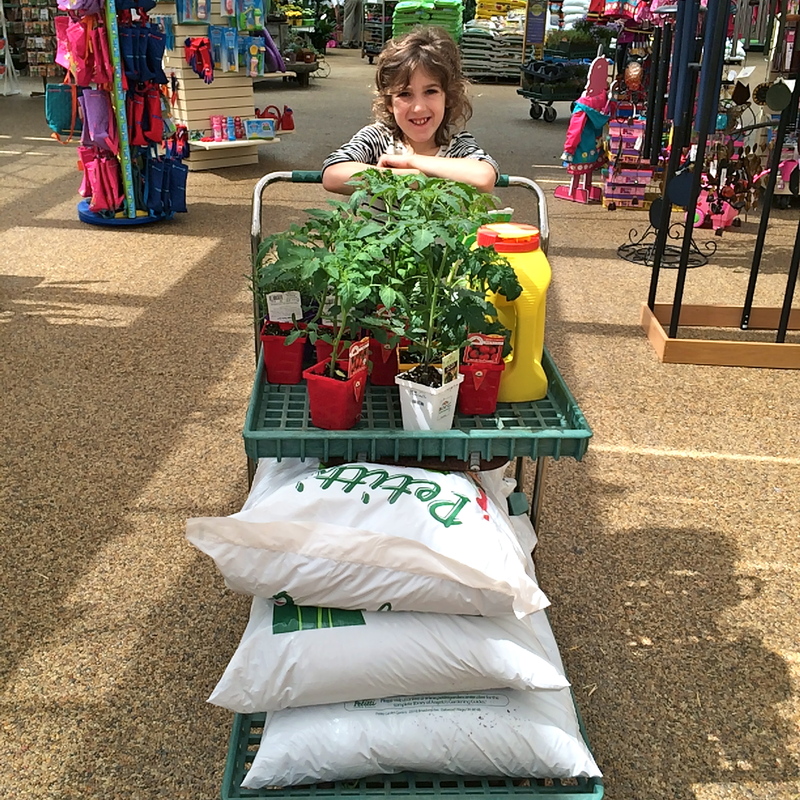 We added a bag of organic vegetable fertilizer and some compost to the cart before we checked out. Once we got home she declared the planting her project. 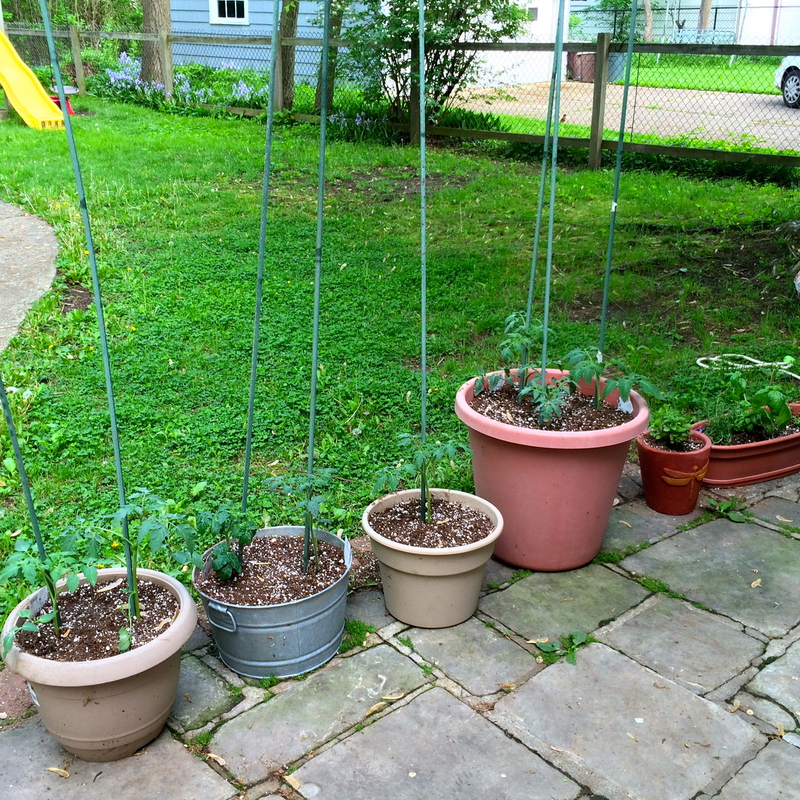 With just a little guidance from me she filled up all 6 pots with soil and plants. She might have more of a green thumb than I do! 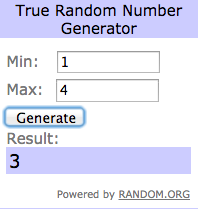 Limit 2 entries per person (one comment + one tweet). This giveaway will run until Monday, May 25th at 11:59 pm. Good luck! Giveaway is closed.